"Both John and I were so fortunate to purchase Phyllis home..."
"Such an amazing Lady! From the first time we met, we had a..."
"It was an absolute pleasure knowing and loving Mom. I loved..."
"Thank you all for your kind condolences." "So sorry, Cassandra. I've been thinking of you since..."
Phyllis Peterson passed away peacefully in her sleep on Friday, Nov. 30th, 2018, at her care home in W. Hollywood, CA. She was 88 years old. She is survived by her daughter, Cassandra Peterson of Los Angeles, CA, her grandchildren, Paige Glaves of West Hollywood, CA, Whitney Glaves of Ventura, CA, Max Kristoffersen of Seattle, WA, Demitri, Delaney and Dante Grazioli of Colorado Springs, CO and many nieces and nephews. Phyllis was born in Lincoln Nebraska on August 9th, 1930 to Herbert Schmidt and Ethel (Dooley) Schmidt. She graduated high school in Randolph, KS and completed nurse's training in Manhattan, KS. After the birth of their third daughter, Phyllis and her husband, Dale settled in Colorado Springs. There, she and her sister-in-law, Lorrayne Bergman, ran Peterson's Partyland costume shop for many years. After the passing of her husband, Phyllis moved to Florida to be close to her youngest daughter and grandchildren. Phyllis was well-loved there and known for her service with Meals on Wheels, as well as her generous nature with family, friends and neighbors. In 2012 Phyllis relocated to California to be closer to her eldest daughter, Cassandra. She and Dale enjoyed traveling and spent many years visiting friends and family across the U.S. in their Winnebago. Phyllis loved the music and memorabilia of Elvis Presley, and anything to do with pigs or angels. 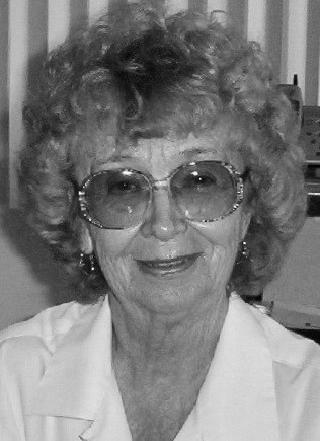 Phyllis' passing was preceded by that of her beloved husband, Dale Warren August Peterson (d. 1992), her daughters Robin (Peterson) Glaves (d. 2006) and Melody (Peterson) Grazioli (d. 2019), and her two younger brothers, Dale Lee Schmidt (d. 2014) and Ted Schmidt (d. 2005),. A memorial service and interment will take place in Colorado Springs at Evergreen Cemetery, April 6, 2019 at 11:00 AM. In lieu of flowers, memorial donations may be made to Meals on Wheels America, helping to address senior hunger and isolation. www.mealsonwheelsamerica.org or 1-888-998-6325.